The coroner ‘s office has stated that his death was a “homicide,” with asphyxiation (choking) as the cause of death. There is also evidence of severe beating, with photos taken shortly after his death showing extensive bruising on Robert’s face and torso. 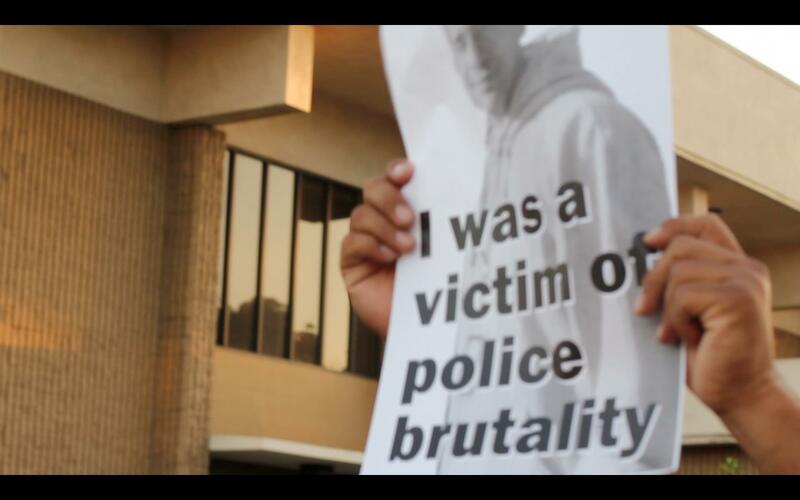 *** If you have ANY information regarding these officers and any abuse or mistreatment suffered at their hands, contact us to anonymously report it at (805)328-4763 or poder805@riseup.net. You can also contact us here. 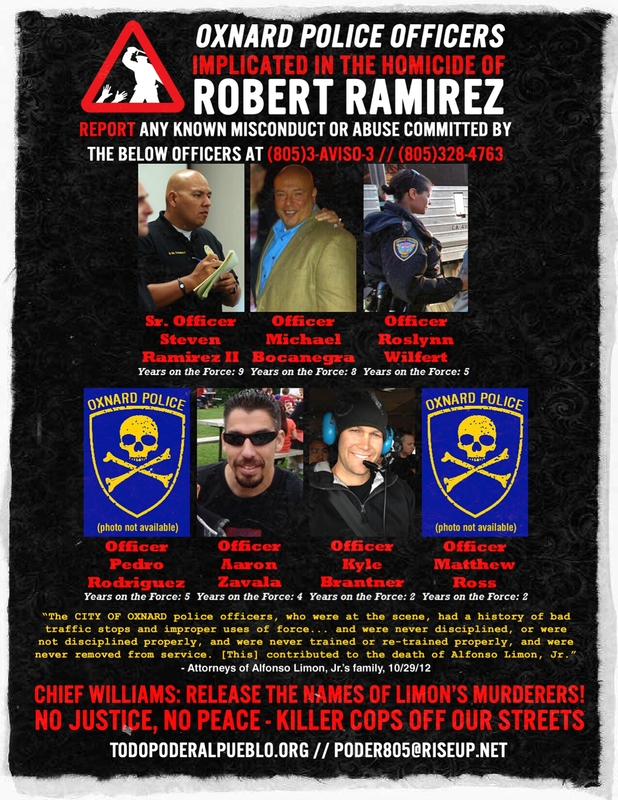 ***We also urge Chief Jeri Williams to release the names of the killers of ALFONSO LIMON, JR.! This is a matter of public safety and we can no longer allow these criminals to continue doing harm to our community! *** Si usted tiene alguna información con respecto a estos oficiales o cualquier abuso o maltrato sufrido a manos de ellos, contáctenos para denunciarlo anónimamente al (805) 328-4763 o poder805@riseup.net o por aquí en Facebook. ***También ordenamos a Jefe Jeri Williams que de a conocer los nombres de los asesinos de ALFONSO LIMON, JR.! Este es un asunto de seguridad pública y ya no podemos permitir que estos delincuentes sigan causando daño en nuestra comunidad!